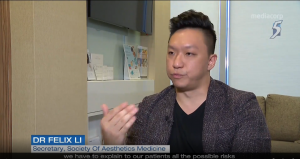 Channel News Asia interviewed our Lead Doctor for Aesthetics, Dr Felix Li for a segment called “Botox Treatments Under Spotlight” for Singapore Tonight. The piece was aired at 10pm on 20 March 2019. 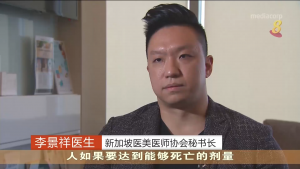 Here’s a summary clip of Dr Li’s feature, as well as a more comprehensive list of Questions and Answers prepared by Dr Li for the interview, which you may find useful. You can watch the full segment as well, at the end of the article, below the write-up. Can Botox injections lead to death? Botulinum Toxin injections, or Botox for short, has been approved for use in Singapore for 3 decades, for both cosmetic and medical indications, with no reported Botox related death in these 30 years. As with any medical procedure, Botox injections carry inherent risks, which are dependent on the site(s) of injection, dose, and frequency of treatment. Minor complications associated with Botox injections include injection site pain, redness, swelling or bruising, which resolve on their own within hours to days. Severe complications associated with Botox injections are usually due to localised spread of the Botox to affect muscles other than the intended target. For example, Botox to the glabellar to reduce the appearance of frown lines may spread to a nearby muscle, leading to drooping eyelid(s). The incidence of such severe complications is very low, and usually completely recover on its own in 3-6 months’ time, due to the temporary nature of the action of Botox. For Botox to cause death, it needs to enter the bloodstream in significant amounts, to affect vital organs distant to the site of injection. In cosmetic uses of Botox, Botox is injected directly into the small muscles of the face. In medical uses of Botox, Botox is injected directly into the specific target muscles. In no situation will Botox be intentionally injected directly into the bloodstream. Theoretically, is it possible for Botox to cause death, if it was inadvertently injected into the bloodstream? In a study conducted on mice in 2005, it was shown that the LD50 of Allergan Botox was 70U/kg. This means that when injected directly into the bloodstream, the dose of Allergan Botox that would theoretically cause death in half a population with a weight of 50kg would be 3500 Units, or 35 vials of Allergan Botox. In cosmetic uses of Botox, a third to half a vial of Allergan Botox is commonly used per treatment session. In medical uses of Botox where larger doses are administered by trained Specialists, the dose rarely exceeds 2 vials of Allergan Botox per treatment session. Are there regulations in place for Medical Practitioners administering Botox injections in Singapore? In Singapore, as Botox is a medical procedure, it can only be administered by registered Doctors in licensed clinics. Furthermore, Doctors who wish to provide Botox treatments in their practices have to first complete and pass a Certificate of Competency course for Botox injections, that is held by a Ministry of Health appointed educational body. How many brands of Botox are approved for use in Singapore? 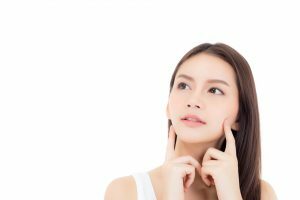 While there are many different brands of Botox preparations in the world, only 3 brands are approved by the Singapore Health Sciences Authority for use in Singapore – Allergan Botox, Dysport, and Xeomin. Each of these 3 brands are also US FDA approved, and backed by countless scientific and clinical studies published in leading medical journals over the past 3 decades. Only registered medical clinics are able to order these 3 Botox preparations from licensed distributors in Singapore. Before any medical procedure, a Doctor will regularly perform a thorough history taking including the patient’s past medical history, any current medical conditions, date and dose of previous treatments, as well as any previous allergic reactions or complications following Botox treatments. Doctors will also perform a targeted physical examination assessing the patient’s general well-being, suitability for the treatment, while looking out for warning signs that may indicate that the patient may not benefit from / may be exposed to a higher risk with the treatment. The Doctor will then explain to the patient all the inherent risks associated with the procedure in general, as well as risks specific to the site(s) of injection, and to their medical conditions (if any). 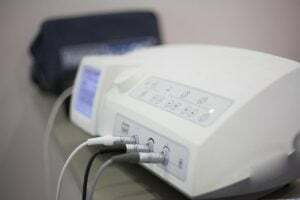 The Doctor will answer all related queries, and ensure that the patient understands all the risks involved, and so chooses to undergo the procedure. This process must be documented in the Doctor’s clinical notes, and the relevant consent forms must be signed by both the patient and the Doctor, before proceeding with the treatment. What can I do to ensure that my treatments are safe? Always visit a registered Doctor in a licensed clinic, who is qualified to perform the procedure. You can find a Doctor’s qualifications displayed in his clinic, on his website, or through the Singapore Medical Council. Ensure that the Botox used is from one of the 3 approved brands. If you wish, you can ask to see the vial before the product is drawn and injected. Licensed clinics order their Botox from licensed distributors only, and have a procedure to verify the authenticity of the product. For example, Allergan Botox comes with a unique hologram, as well as individual serial numbers, on every vial. Always inform your doctor of any pre-existing or concurrent medical conditions that you may have, as well as your previous Botox treatments, and complications (if any). Make sure you understand all the risks associated with the procedure – be sure to clarify if you don’t! – before proceeding with the treatment. You can watch the full Channel News Asia piece here.